The Paralyzed Veterans of America Florida Chapter provides members and others with disabilities in the Fort Lauderdale, Florida, area with the opportunity to participate in various wheelchair sports activities. Active participants receive assistance with training, travel to clinics and competitions, specialized equipment, and attendance to seminars related to wheelchair sports and recreation. 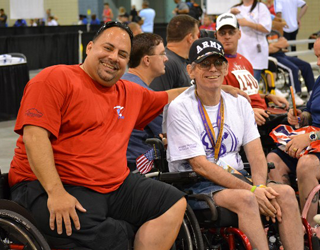 The National Veterans Wheelchair Games is the biggest single event for wheelchair athletes. The Paralyzed Veterans of America Florida Chapter sponsors its sports team at this event annually. Our organization is also a key sponsor of TSC Sports, a sports program for children and young adults with disabilities.